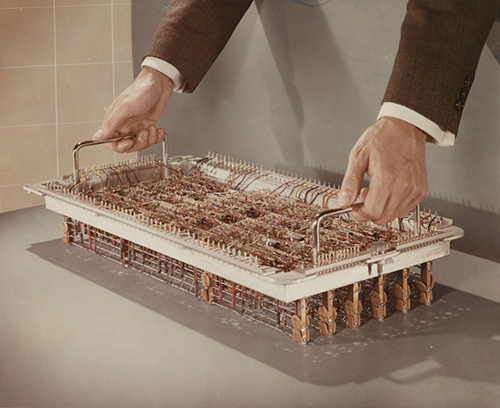 This is a color image of a man's hands holding the handles of a circuit board chassis panel that is resting on a gray colored surface. The circuit board has wires connecting to various leads and points. Light is coming from overhead. Written on the small white paper that is included with the image is "completed chassis 1961".